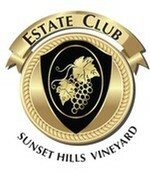 Thank you for considering the Sunset Hills Wine Clubs. 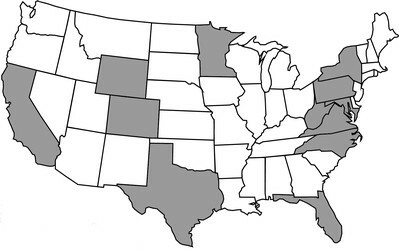 Interested in joining the club but live out of state? Have your wines shipped! Sunset Hills ships to California, Colorado, Washington D.C., Florida, Maryland, Minnesota, New York, North Carolina, Pennsylvania, Texas, Virginia, West Virginia, and Wyoming. Currently accepting new applicants, members of the Cellar Club commit to purchasing two bottles of wine bi-monthly and receive discounts on food and wine purchases, event tickets and merchandise. 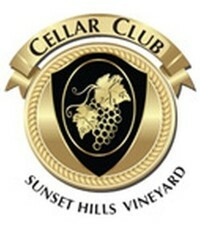 Members also have access to exclusive wine selections. Additionally, they enjoy special access in the upper loft and deck areas of our winery and the privilege to bring groups with advanced reservation. Founded as our inaugural club, members in the Estate Club commit to purchasing two bottles of wine bi-monthly and receive discounts on food and wine purchases, event tickets and merchandise. Members also have access to exclusive wine selections. Additionally, they enjoy special access in the upper loft and deck areas of our winery and the privilege to bring groups with advanced reservation. 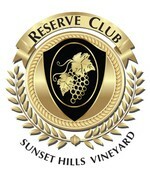 Our Reserve Club is our most exclusive level of club membership. Members commit to purchasing six bottles of wine bi-monthly and receive discounts on food and wine purchases, event tickets and merchandise. Members also have exclusive access to our most exceptional vintages, library, pre-release and special label wines. Additionally, they enjoy special access in the upper loft and deck areas of our winery and the privilege to bring groups with advanced reservation.